There are generally two types of people who will see a romantic comedy — “rom-com” for those inclined to abbreviations — in theatres: women, and men dragged there by those women. But Crazy Rich Asians does something that, arguably, no genre has accomplished since Crazy Stupid Love: it appeals to everyone. On a superficial level, audiences have a simple ask of a movie; if it’s a drama, they want to be intrigued; if it’s a comedy, they want to laugh; if it’s a love story, they want to be swept away. But a romantic comedy? Well, that better have the aforementioned buffet of feelings plus dramatic declarations of love, a makeover montage, and family tension for good measure. 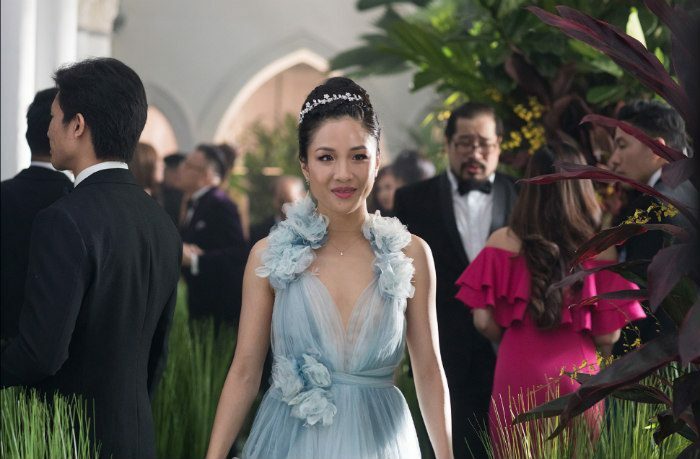 It might be the hardest genre to get right, and the success of Crazy Rich Asians was riding on more than delivering the perfect recipe. It is the first Hollywood movie with an all-Asian cast in 25 years that doesn’t wield stereotypes. That’s right: no kung fu, no math geeks, no fresh-off-the-boat jokes; just real, (and really rich) multi-dimensional characters with conceivable problems in the modern world, who happen to be Asian too. The questions about casting are unavoidable precisely because it’s an anomaly. Nico Santos, who plays the token confidante and fashion guru, is happy to make sure Hollywood knows it’s about damn time that changes. “Hollywood will do something good and pat itself on the back and be like, ‘we’re good, we don’t have to make another Asian movie for another 25 years! What I hope this movie does is open the floodgates so we get to tell more stories,” said Santos. While the themes in Crazy Rich Asians are ubiquitous — love worth fighting for, family disapproval, million dollar yachts and private island shopping sprees (okay, that last one might be a stretch) — the fact remains that it’s an Asian experience, a Filipino experience, a Japanese experience; truly, a continental experience. To watch this movie as — putting it bluntly: a Caucasian — and still feel privy to the experience without missing the punchlines — like when one friend calls the other a banana (“yellow on the outside, white on the inside”) — was borderline revelatory. The set, while scattered with foreign cars, private jets, and sprawling landscapes peppered by mansions of Versaille-esque proportions, encapsulated a much humbler truth beneath the opulence. Awkwafina (born Nora Lum) plays BFF to lead Rachel Chu (Constance Wu) and is always on-hand with words of wisdom at pivotal points throughout the film. While Crazy Rich Asians has the flash you would expect from such a title, she says there is an undertone of something much more culturally-relevant. “I think this is the beginning of a shift in Hollywood that will have an impact on film in the years to come,” said Lum. And that, might the most important reason of all to head to the theatre; dragged or otherwise. Here is a movie that is beautifully shot, wonderfully told, with a wedding scene — you’ll know the one — that will kick you right in the feels; leaving that post-sob, tender-hearted reminder that, regardless of colour, we’re all human. Who knew that a romantic comedy is exactly what the world needs right now. Crazy Rich Asians is slated for theatrical release on Aug. 15, 2018.